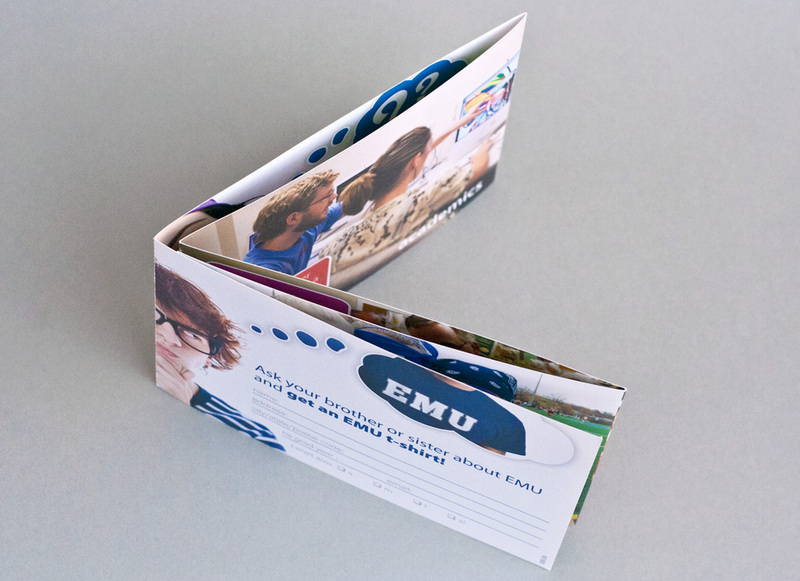 An impressive stat about Eastern Mennonite University is that many students who enroll in the university are children or siblings of alumni. This says a lot about the university’s reputation among graduates. We wanted to capitalize on this very specific group of prospective students (children of alumni and siblings of alumni or current students) so developed a piece just for them. 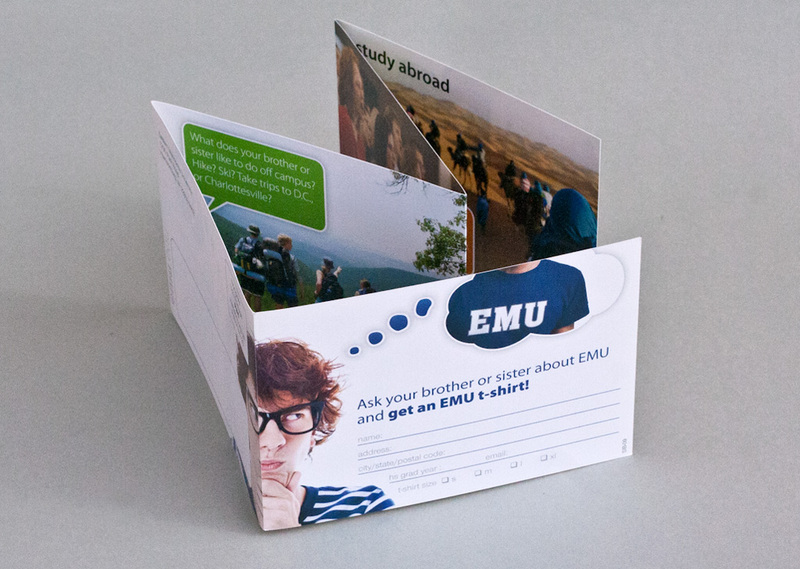 To create a piece that would initiate conversation about EMU between prospective students and their parents or siblings. 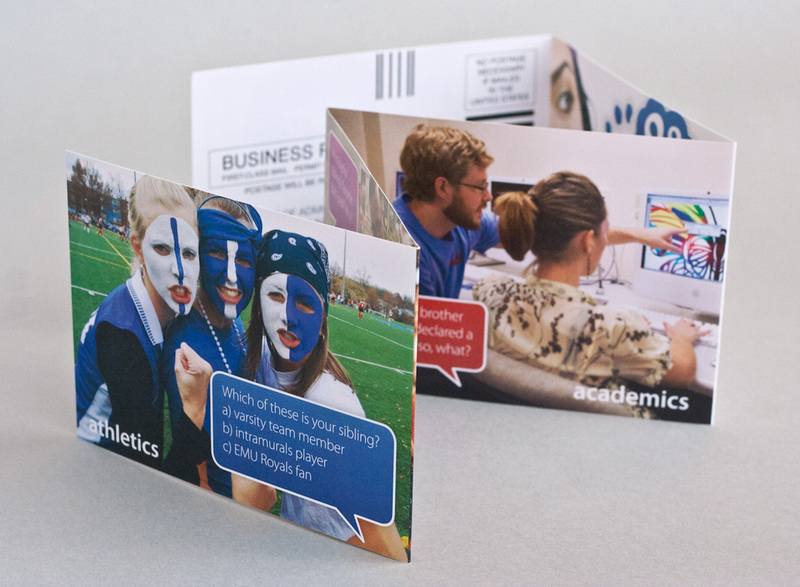 Develop a fun self-mailer which raises curiosity and (most importantly) gets the recipients toopen it up. 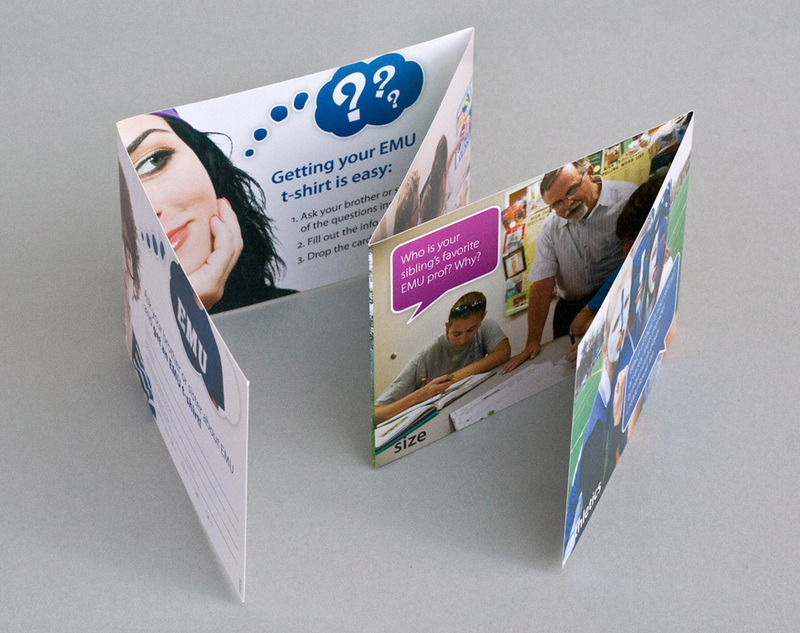 As the piece unfolds (accordion fold), each panel presents simple questions the kids can ask their parent or sibling. 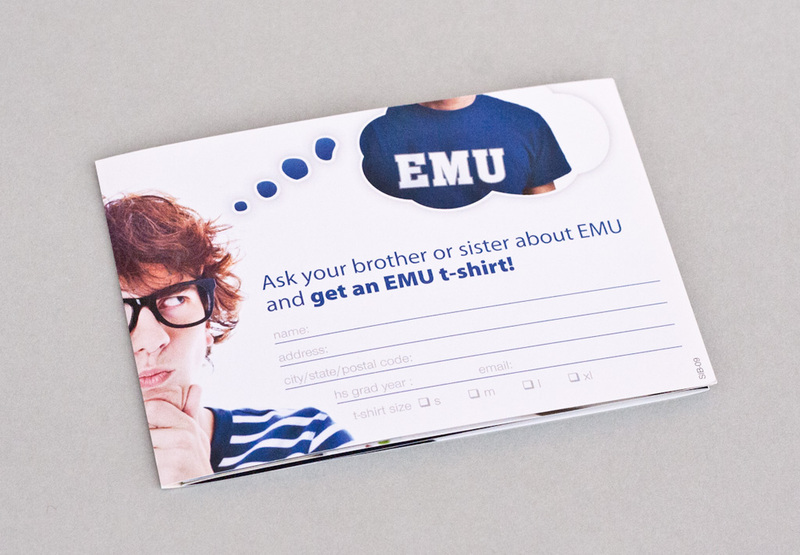 Recipients can receive a free EMU t-shirt by mailing back their answers on the return card. 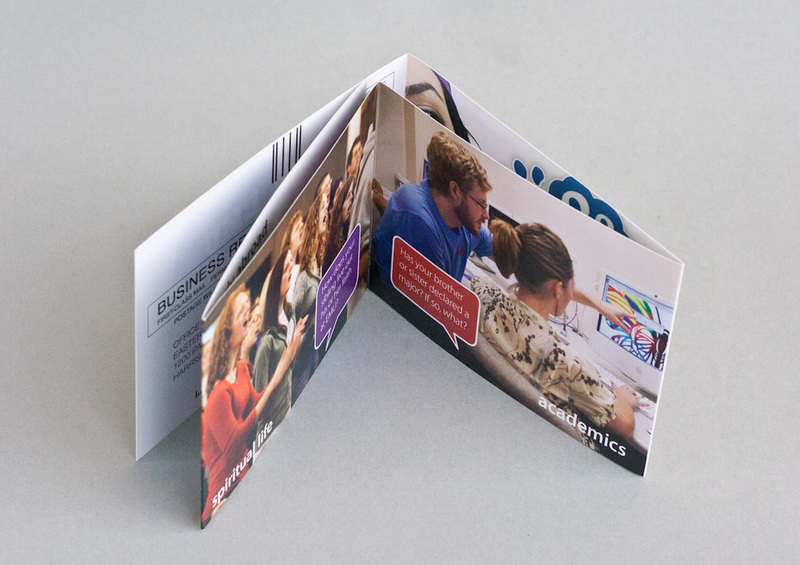 We created and mailed two different versions of the piece (one to children of alumni and one to siblings) and the results were quite impressive. 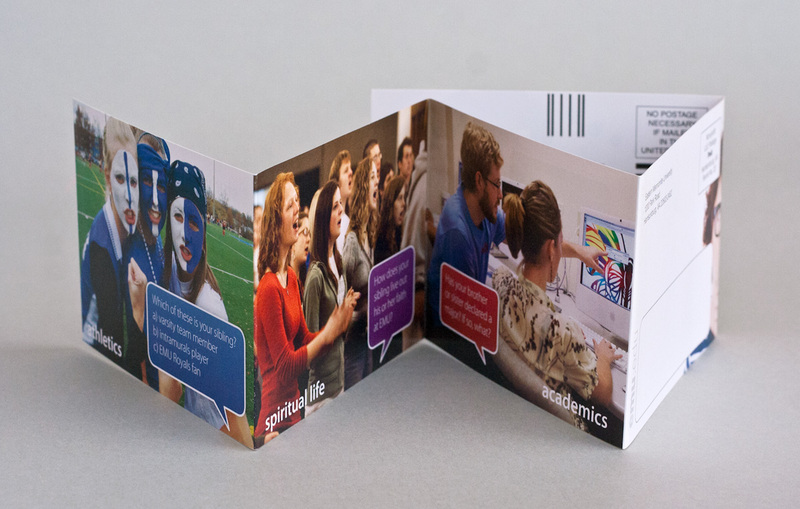 The response rates were 14% and 17% (the percentage of actual cards returned). This is a far superior response rate than universities might expect on direct mailings such as this.